Before you set sail on the high seas on your upcoming Disney Cruise, be sure to print out this Essential Disney Cruise Packing List. I am so excited you are going on a Disney Cruise. Best vacation ever! Last year, Anthony and I were privileged to set sail on the Disney Wonder as part of the 2017 Disney Social Media Moms Celebration. It was our first Disney cruise and we were also celebrating our 25th wedding anniversary. Disney events have a way of spoiling us. It’s amazing the amount of pixie dust the Disney Social Media Moms planning team provides for all the attendees. I am excited that I have been invited back to this year’s celebration in February, this time aboard the Disney Dream . And this time around, we are bringing AJ with us. So let’s get packing (I am all about Disney Packing Lists). If you have been on a Disney cruise before, you already know it’s the best of the best. If you haven’t, you are going to be so spoiled. You are definitely in for a magical treat. Since I am getting ready to set sail once again, I thought I would share some things I learned from last year’s adventure. 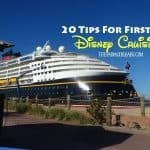 I’m a Disney cruise newbie no more! 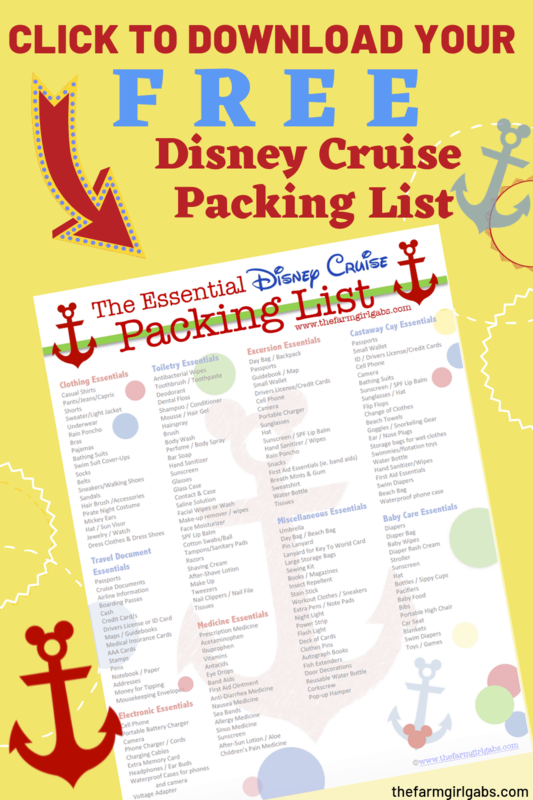 I also created a handy Essential Disney Cruise Packing List printable, similar to The Essential Walt Disney World Packing List printable that I shared several years ago that you can download and print. Passports: Never leave home (or the ship) without your passports. Refer to the Disney Cruise website for specific guidelines. Bring a beach bag or day bag: You will need something to carry all your gear in when you go on any of the excursions you planned. If you are stopping at Castaway Cay, you will also need to carry your beach gear. Waterproof phone or camera pouch: Don’t let a little water get in the way of a great shot. A waterproof phone pouch is super handy. Swimwear: Before you set sail on the high seas, don’t forget bathing suits, cover-ups, and flip-flops. Autograph Books: What’s a character greeting onboard without an autograph book . Don’t forget some pens too! You can even make your own. Check out how here! Pop-Up Hamper: The rooms are really tight, keep all the dirty laundry together with a nifty pop-up hamper . Fish Extenders: If you are participating in the optional fish extender exchange, don’t forget to pack them. Door Decorations: Make your home away from home cute and cozy. Add some fun door decorations to jazz things up a bit. Trading Pin Lanyard: I never leave home without my Disney Pin Lanyard. You can read the basics about Disney Pin Trading here. Clothespins: Hang those wet beach clothes up! Clothespins are super handy. Portable Battery Charger: Never lose charge and never leave home without a portable battery charger for your cell phone. Corkscrew: Ok, I know this sounds outrageous but wine bottle uncorking fees for are pretty exorbitant, so if you plan on drinking, pack a corkscrew just in case. Lanyards: Keep your Key To The World card (aka your room key) safe and handy in a convenient lanyard . Water Bottles: Stay hydrated during your cruise. Pack a water bottle for each member of your family. Fill up while onboard or before you venture on any excursions. Pirate Gear: Ahoy Mateys! Celebrate Pirate Night in costume! Captain Hook will be proud! Not one for dressing up, last year, Anthony and I donned matching pirate shirts! Light Sweater or Jacket: Sometimes the ocean breeze can get chilly. The night can get cool at sea too. Don’t forget to pack something light to keep you warm. Medications: I always pack a selection of over-the-counter medicine before any trip. Of course, if you are on any prescription medicine, you will need to pack that as well. Sea Bands and motion sickness medication are also important to have just in case. Snacks: It’s always a good idea to pack some snacks for any trip. While the food on the ship is free, you may need something to eat while on an excursion. 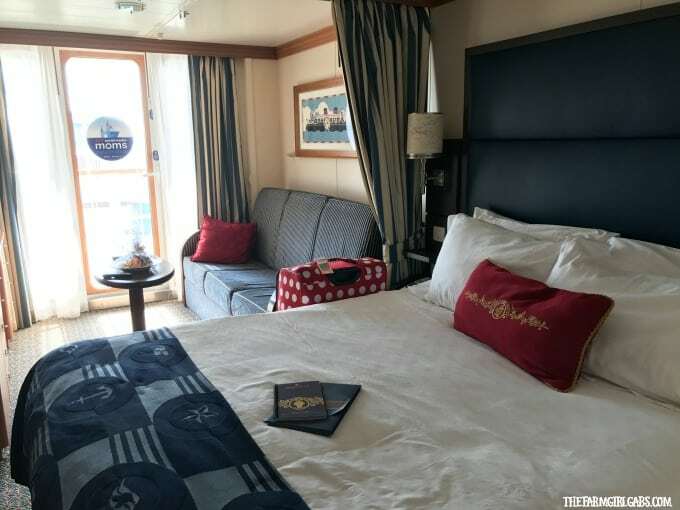 Antibacterial Wipes & Hand Sanitizer: While the cast members always hand out wipes before entering any of the dining areas, you are on a ship where germs can sometimes be inevitable. Be proactive and wash and wipe hands frequently. 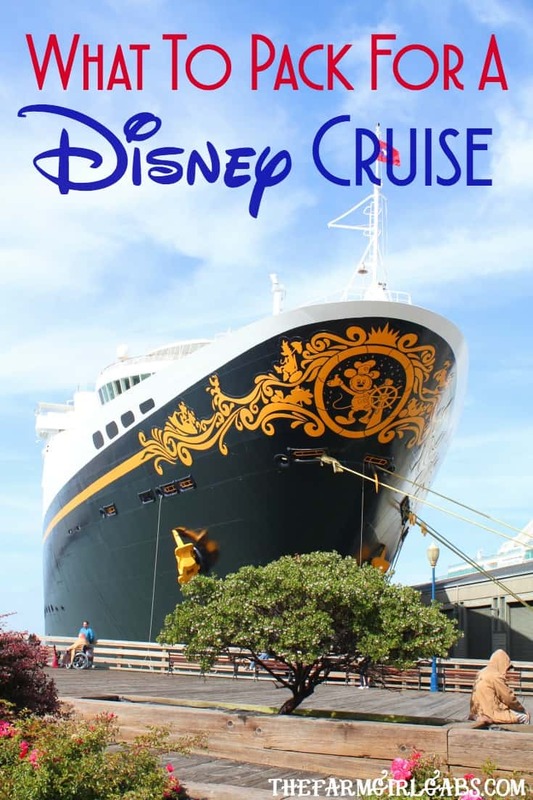 Click here to fill out the form to download your copy of the Essential Disney Cruise Packing List. Click on the image below.